We help Canadians and Canadian Business owners resolve with Tax Resolution CRA their tax problems with the Canada Revenue Agency (CRA). CRA is ruthless and will go to full legal depths to collect the tax dollars. If you have not been 100% compliant, filed every return correctly and on time, paid all taxes immediately your file is, in the CRA’s eyes, a PROBLEM that requires immediate action for Tax Solutions Canada. When the CRA collections department sends out demand letters, calls you and begins asking questions or demanding compliance, this can be dangerous. Canada Revenue Agency collections will deploy tactics and even be friendly to you in order to extract personal information from you that they will use against you in the future. They are not your friend – even if they do represent our government. Their job is to collect every dollar possible under the law and the same law gives them bullying powers. 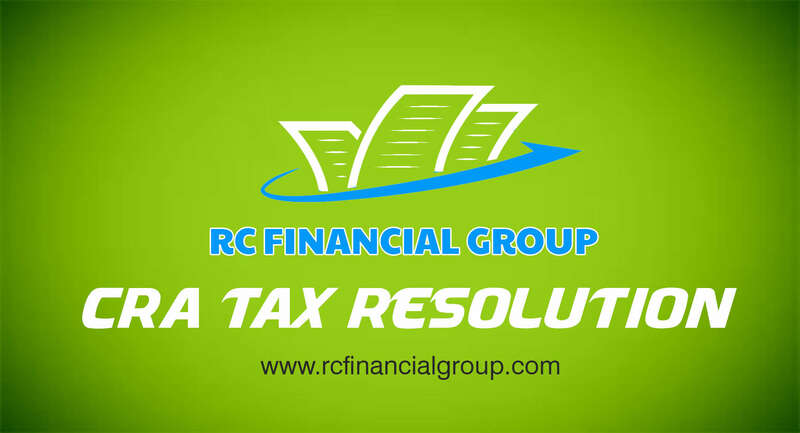 RC Financial Group’s team knows how to deal with the CRA collections tactics and provide you with effective tax help which is needed to resolve your tax issues. If you have received a CRA “Requirement to Pay” demand letter, this means that the CRA is seizing your money. A CRA Requirement to Pay will most commonly be issued if your bank account is being frozen. Once a CRA Requirement to Pay letter is sent to you, a second CRA Requirement to Pay letter will be sent to your bank. Once your bank receives the CRA Requirement to Pay they will freeze your account. This can cause major financial and logistical problems, especially for small business owners. RC Financial Group’s team can help their clients bank accounts unfrozen. Usually, both of these attack weapons are used by CRA agents at the same time. They can freeze your bank account, interfere with your customers’ payments to you and seize your wages – and that’s not all. The new Canada Revenue Agency has broader authority and collects on both provincial and federal tax debt. Don’t wait until Canada Revenue Agency collections (CRA collections) brings you to your knees. RC Financial Group offers professional representation to help their clients resolve their tax issues with the Canada Revenue Agency. You definitely need tax help if CRA collections have imposed a wage garnishment on you. A CRA garnishment can be issued for up to 50% of your employment income and up to 100% of other income (like subcontractor income). Yes, they can leave you with no money to operate your business or feed your family. If the CRA collections department has placed a CRA garnishment on your wages or income or has sent your clients to notice to forward your receivables to them, we can help! We can negotiate the reduction or removal of a CRA garnishment.